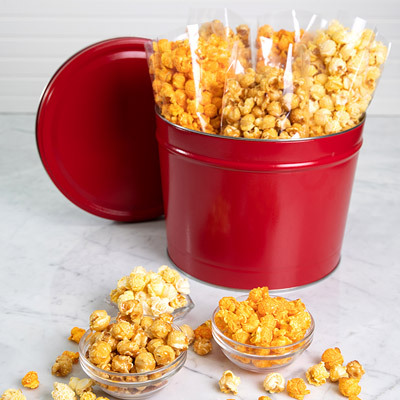 delights and to the quintessential popcorn tins, we have it all. 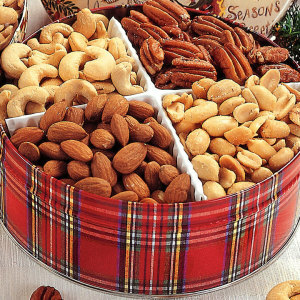 crowd-pleaser, you might consider our Nutty Favorites Tins with Pistachios, Roasted Pecans, Chocolate Pecans, Gourmet Salted Peanuts, Chocolate Peanuts, and Chocolate Almonds. 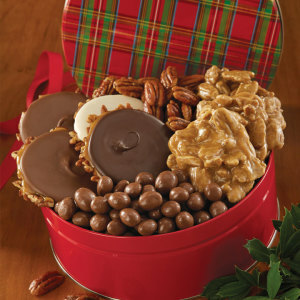 If you are looking for Chocolate filled Christmas candy tins, we have a variety packed our classic favorites. 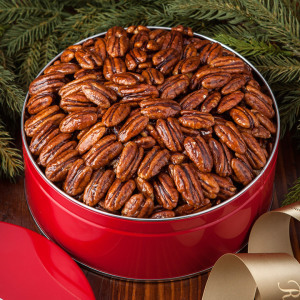 For something decadent, consider gifting the Dark Chocolate Sea Salt Bear Claw Tin. 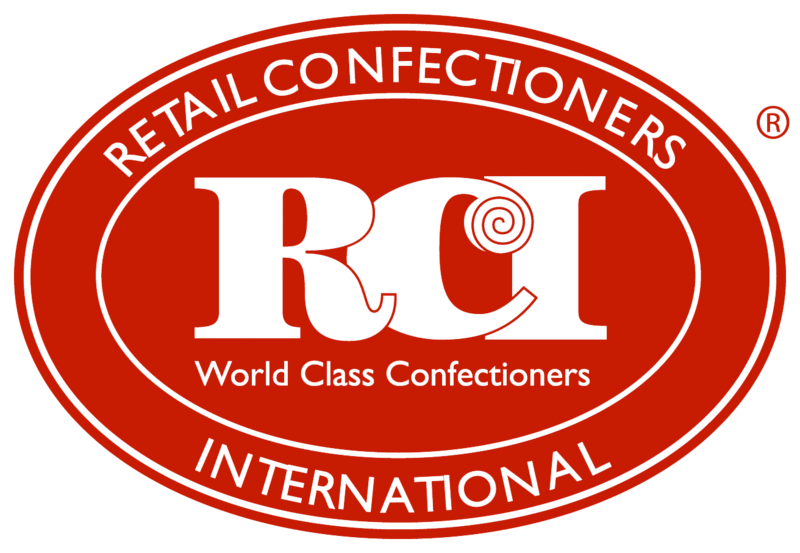 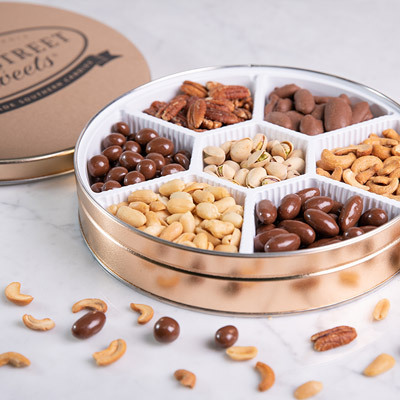 For loved ones that are conscientious about their sugar intake, we have developed a Sugarless Chocolate Assortment Tin that includes a variety of chocolates with delicious fillings that are all sugar-free. 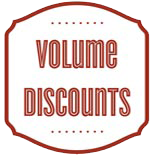 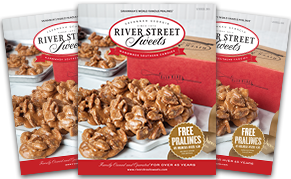 If you are looking for something this holiday season that feels like your friends are walking through the doors of our River Street storefront, even though they are miles away, consider sending them our Tin of Assorted Favorites. 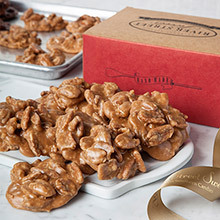 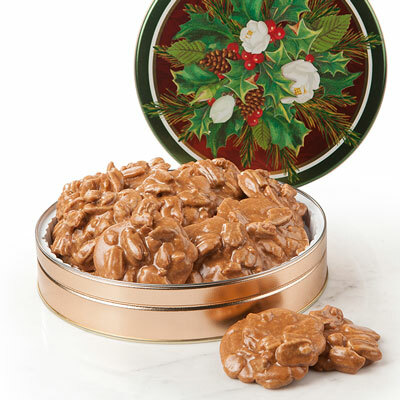 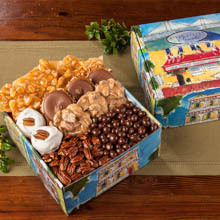 With World Famous Pralines, Assorted Chocolate Bear Claws, Glazed Pecans, and Chocolate Peanuts this tin has all of our signature treats and is always a fan favorite. 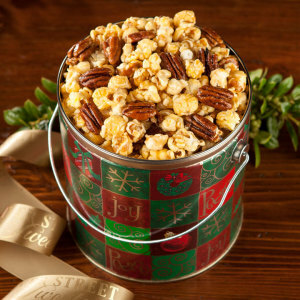 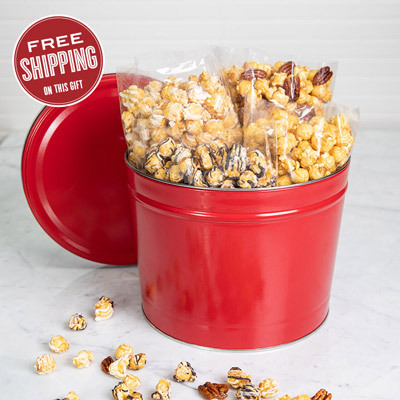 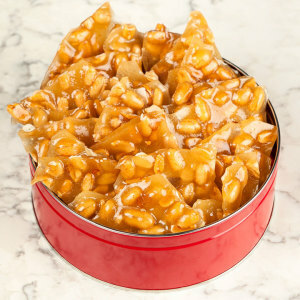 our hand stirred Caramel Pecan Popcorn incorporated with our Cheesy Sharp Cheddar Popcorn in one festive tin.